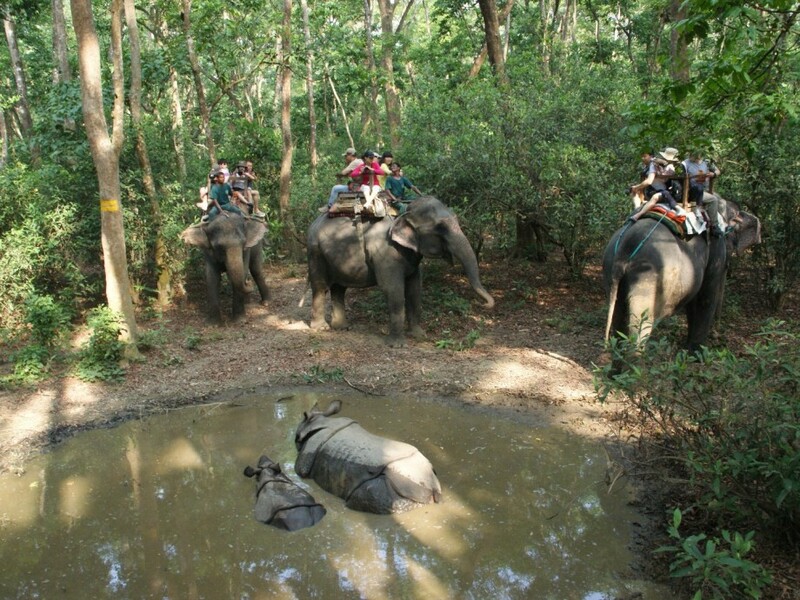 This tour allows you to experience the southern flatland of Nepal with its rich bio-diversity in the biggest protected national parks of Nepal in Chitwan, Bardia and Koshi. This tour is perfect for nature and wildlife lovers looking for serenity. Day 1: Arrive Kathmandu Meet at the airport and transfer to Hotel. Day 2: Full day sightseeing tour of Kathmandu City , Swayambhunath and Patan City. Day 3: Fly from Kathmandu to Nepalgunj. Drive to Karnali Tented Camp, Bardia National Park. Day 4: Full day jungle excursion. Day 5: Full day jungle excursion. Day 6 Drive from Bardia to Chitwan National Park. Day 7: Full day jungle excursion. Day 8: Full day jungle excursion. Day 9: Drive from Chitwan to Koshi Tappu Wildlife Reserve. Day 10: Full day excursion. Day 11: Full day excursion. Day 12: Drive to Biratnagar city and fly back to Kathmandu. Day 13: Rest of the day at leisure in Kathmandu.